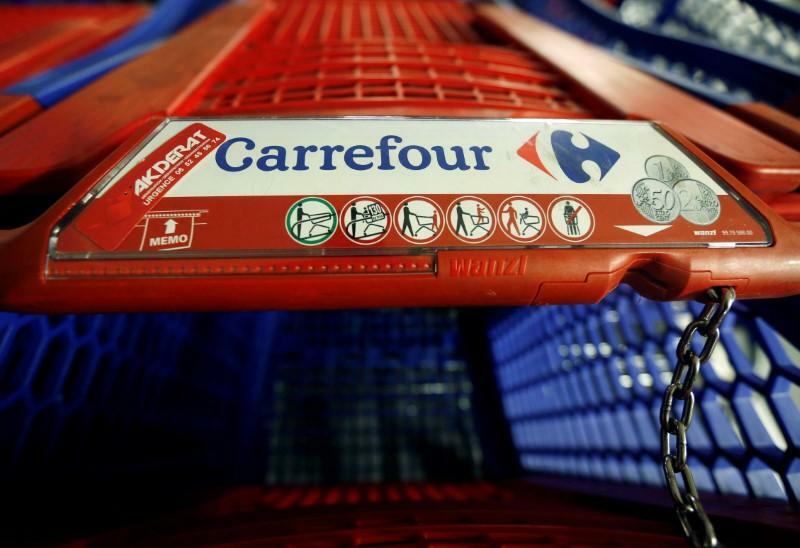 PARIS (Reuters) - France's Carrefour raised its savings goal and said it would step up plans to downsize its hypermarket stores, as Europe's largest retailer delivered cost cuts of 1.05 billion euros (898 million pounds) in 2018 and a higher free cash flow. "Cost savings are progressing well but not enough to reinvigorate (the company's business in) France yet," said Bruno Monteyne, an analyst at brokerage Bernstein. "For Carrefour, 2019 will be a year in which we will deepen the initiatives of the 2022 plan, to better serve our customers...Our encouraging results now allow us to revise upwards a number of 2022 targets," CEO Alexandre Bompard said. Carrefour recently sealed a purchasing alliance with Britain's Tesco which is expected to start bearing fruit this year.. The group's Chinese operations remained loss-making last year amid competition from local players and a buoyant online market but Carrefour said its general performance in China nevertheless improved.